Schools in the UK spend around £70 million a year on water but with careful management, this can be greatly reduced. 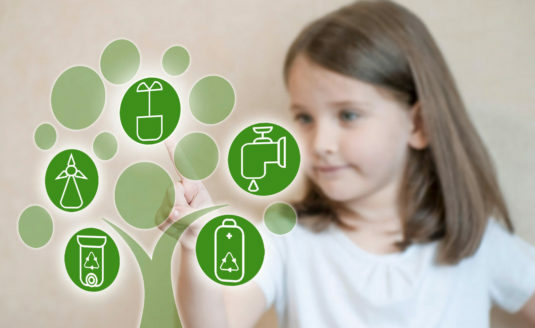 Here are top 10 tips for better schools water management. Schools that actively engage in water conservation with pupils and staff as well as setting up a detailed action plan can reduce per-pupil use to around four cubic metres a year, which in a school of 600 students could save £5,000 annually. The demand for water continues to grow while access to usable sources remains fairly static with only 1% of the total being available in rivers, lakes, atmosphere and underground wells for human consumption. With rising populations over the past 40 years, the water available per human has been halved. So it makes both financial and environmental sense to manage water use effectively. Ongoing and successful water savings depend on a coherent, long-term water action plan with well-defined and achievable targets. Bring together a water team of staff and pupils who will be the monitors and drivers of water conservation in the school. With the team, conduct a full water to identify all the areas of water consumption and the potential for reductions. With the information gathered, guidelines can be set for each area around the best ways to save and conserve water, with a range of low-flow technologies and products identified, and the potential savings from each. Staff, student and parents will be enthusiastic advocates of water savings with the right impetus so be active about engaging with them. Post eye-catching stickers and signs to promote water conservation. Keep them regularly updated on water use, with the pre-campaign audit as a benchmark and display the progress on bulletin boards and other school displays. You can also organise school and community events to focus on water conservation and wastewater issues. Encourage the team of monitors to be vigilant, turning off running taps and showers while reporting leaks. A single leaking toilet can waste more than 50 gallons of water every day while a dripping tap or shower head wastes up to 1,000 gallons a week. Eco taps reduce water consumption by over 50% with no negative effect on quality and if current taps need to stay in place then low-cost tap aerators that achieve a similar effect can be considered. If the budget allows, fit sensor taps. An eco shower is one of the most effective ways of reducing water consumption, saving 50% on water usage with no loss of quality. There are added benefits of going low flow because using less water should cut the amount of energy needed to heat the water and cut carbon emissions. The best low flow toilets use up to 84% less water and 80% less energy on average than standard models while other models are duel flush so users can opt for a shorter flush. If full-scale refitting is not feasible, then the use of displacement bags in the cistern helps to substantially reduce water usage. Maintenance programmes are essential. Within budget constraints, consider the replacement of standard urinals with waterless versions or fit efficient automatic flush controls on urinals. Ensure the controls can be turned off during out-of-school hours and during holidays. Replace standard pre-rinse sprayers with low-flow models and sweep floors and walkways instead of using water when possible. Turn down hot water temperatures for dishwashing or cleaning and promote full dishwasher use – dishwashers use 6 gallons per load while hand washing uses 3 gallons a minute. Where feasible, purchase water-efficient dishwashers and washing machines. Training staff to avoid leaving taps running continuously where possible is another major benefit, by pre-soaking of utensils and dishes, for example. 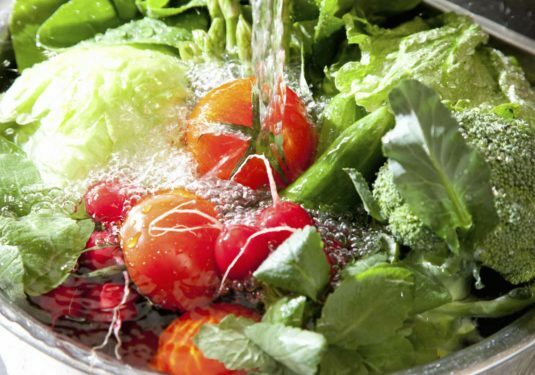 Washing fruit and vegetable in the sink rather than under a full flowing tap also make substantial savings. Use mulch around plants and trees to reduce evaporation and weeds and preserve existing plants for shade and moisture retention to reduce the need for irrigation. Plant trees, drought-resistant plants and shrubs, especially on hillsides or banks. Simple and effective savings can be also achieved by buying plugs and washing up bowls for all the sinks in classroom and art rooms. The temptation always is to let taps run and having bowls and plugs are a reminder to conserve water. Encourage art staff and students to rinse brushes in containers rather than under a running tap. To prevent evaporation and so minimise the need for refilling, always cover swimming pools when not in use. And It’s very effective to reduce the amount of backwashing from a daily regime to just once every two or three days. Backwash systems that collect the water are ideal, as this can be re-used in the grounds and elsewhere. The use of push-button poolside showers is also a very effective way of optimising water use.